I'm back. 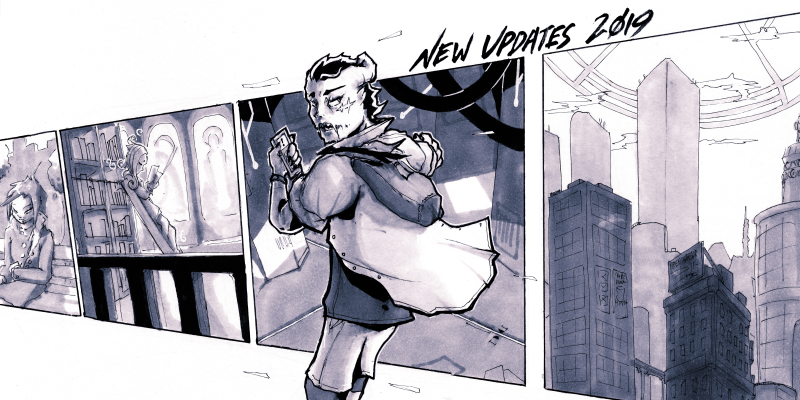 A new page every Monday. I've managed to live in one place for more than a year, but I'm still busy. 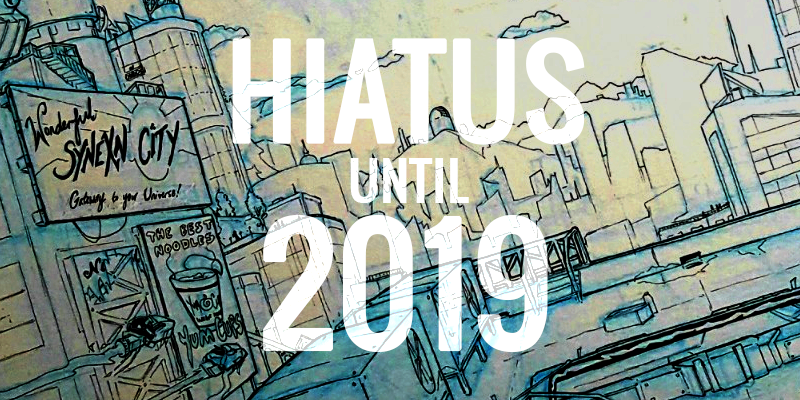 Updates will resume 2019. Since I'm travelling and unable to update, the comic is on a short hiatus. 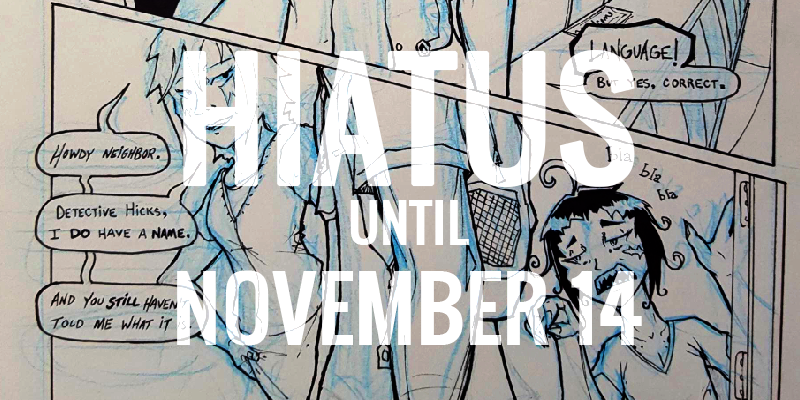 Updates will resume November 14th. I recorded a speeddraw of page four, currently on its way to Youtube. The page is also up and currently here, about 100% readable. Finally, the website is up and working. The story is finally starting, kicking it off it with a little bit of a slower paced prequel chapter.